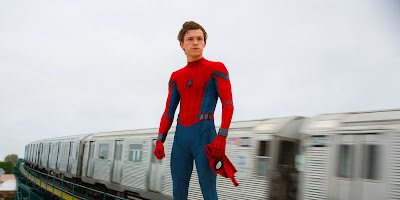 Tom Holland may not be 15, the age of Peter Parker in the latest reboot, Spider-Man: Homecoming (he was around 19 when filming the role), but his youthful exuberance shines through, bringing the comic book parable of puberty to life. 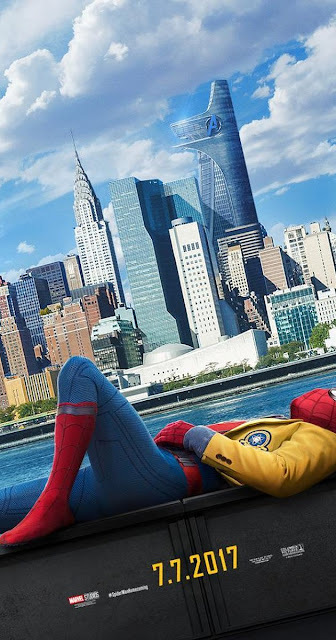 A goofy, inventive, coming-of-age comedy, this version of Spider-Man will delight anyone who remembers the trials and tribulations of surviving adolescence, whether capable of shooting webs or not. Unlike the first chapters of the Tobey Maguire and Andrew Garfield series, this Spider-Man skips the origin story. When the film begins, Peter (Holland) has already fought on the side of Team Iron Man (during Captain America: Civil War) and received a state-of-the-art suit from Tony Stark (Robert Downey Jr). Pumped from his first battle with The Avengers, Peter's raring to go. He scopes the city desperate to curb crime, but mostly he finds himself helping little old ladies for the cost of a churro. When he discovers a nefarious crew selling alien/human hybrid weapons, he goes rogue to bring them down. His mentor Tony, and handler Happy (Jon Favreau) are unimpressed with his meddling. Relative newcomer director Jon Watts has mostly helmed a few independent films and shorts, however as evidenced by the film, his storytelling confidence suggests someone with a vast film career. The action scenes are taut and imaginative with both major set pieces leaving the viewer on the edge of their seat. Watts puts the audience in the red boots of a kid, where even facing death is a rush and everything's an adventure. Though six writers worked on the film, the movie has a focused progression. Stripping the story of the usual Spider-Man constructs, gone are Uncle Ben and the backstory of Peter's parents, along with Peter's discovery of his talents, to concentrate on Peter's journey as a superhero as a metaphor for teenage wonderment. Incredibly bright, awkward with girls, and anxious to join adulthood, Peter represents all kids who feel lost in their teen years. The first Spider-Man series to include Avengers members, the script draws the parallels of wanting to be a member of the cool crowd and to be taken more seriously by your more experienced elders. Peter Parker is so identifiable. He's no multi-millionaire like Tony Stark, nor God like Thor; he's someone still trying to get his bearings in life, someone who most of his peers dismiss as flaky or a dork. He's a John Hughes superhero who needs to learn life lessons to grow up. The script isn't afraid to play with the template. Unlike earlier renditions, Aunt May (Marisa Tomei) is more of a big sister than substitute mother. 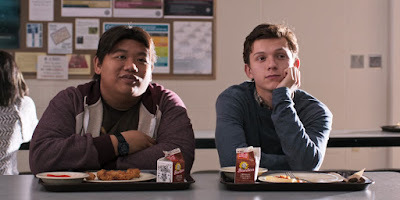 The central relationship emphasizes Peter and his best friend (Jacob Batalon) more than his crush on the popular girl (Laura Harrier). Even the villains are skewed from the formula. 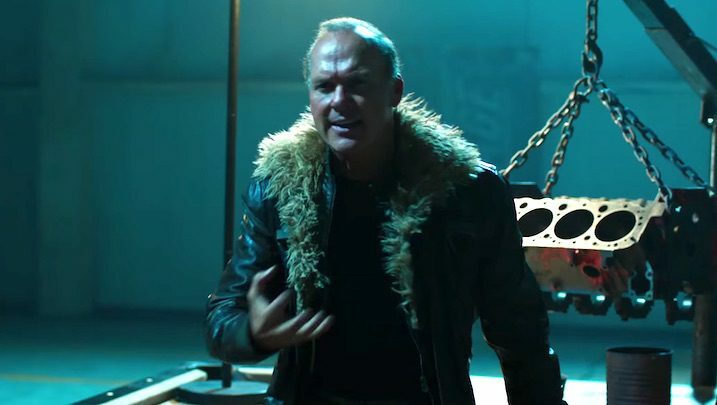 Where Norman Osborne (Green Goblin), Dr. Octavius (Dr Ock), Dr. Curt Connors (The Lizard) and others from the Maguire/Garfield universes were decent men poisoned or infected, turning into monsters, Adrian Toomes/Vulture (Michael Keaton) is in complete control of his faculties. Whether due to greed or fear of not supporting his family, he still chooses to commit evil deeds and is fully responsible for his crimes. Holland, who began his career in the Elton John musical Billy Elliot in London and with a heartbreaking performance as Naomi Watts' son in the tragic The Impossible, is infectious as Peter. He projects all the fascination a kid feels soaring into new territories. 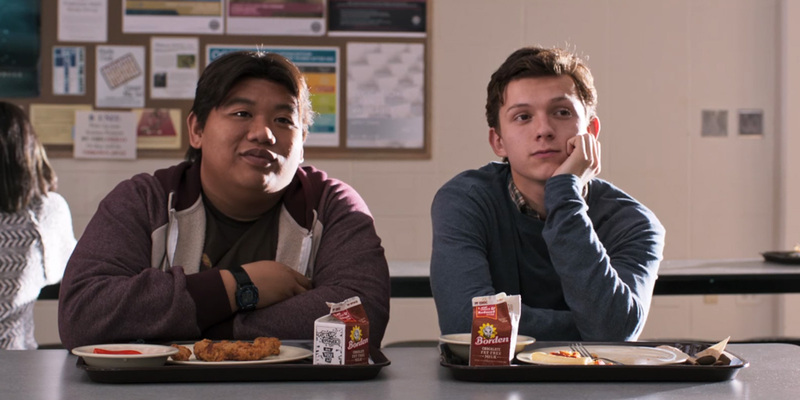 He's unassuming enough that Peter's role as a high school misfit is believable. As his school friends, Batalon, Harrier and Zendaya (who plays the rebellious Michelle) all center their roles in normal youth behaviors. Other than escaping a harrowing deathtrap, the three's performances could be lifted from any teen story that doesn't involve special effects and super villains. Keaton never plays Toomes as a snarling villain. He is your average family man who has built a criminal empire and will commit any crime to protect it. Laugh-filled, with thrilling climaxes, and an emphasis on character, Spider-Man: Homecoming is the most down-to-earth, relatable layer of the Marvel Comic Universe. Ask JKM a Question: Savage Cinema Fridays? Ask JKM a Question: A Female Doctor Who? The Cult-TV Faces of: Avalanche! Fight for Net Neutrality. Fight for the Future. 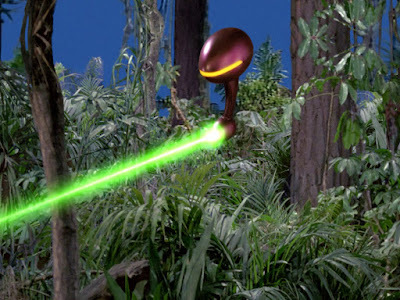 July 4th Blogging: Star Trek: "The Omega Glory"